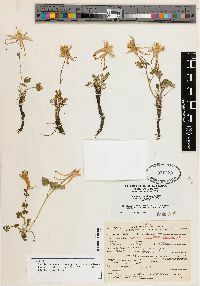 Stems 5-30 cm. Basal leaves 2×-ternately compound, 3-12 cm, much shorter than stems; leaflets to 5-14 mm, not viscid, glaucous on both sides; primary petiolules 3-15 mm (leaflets densely crowded), glabrous or pilose. 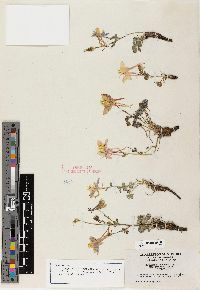 Flowers erect; sepals perpendicular to floral axis, blue to white or sometimes reddish purple, ovate-oblong, 13-22 × 4-10 mm, apex obtuse or broadly acute; petals: spurs blue to white or reddish purple, straight, ± parallel, 25-40 mm, slender, evenly tapered from base, blades white, yellow, blue, or reddish purple, oblong or spatulate, 8-14 × 4-7 mm; stamens 11-15 mm. Follicles 10-18 mm; beak 8-11 mm. Flowering summer (Jun-Aug). Rocky slopes, woodlands, or meadows; 2000-3500 m; Nev., Utah. 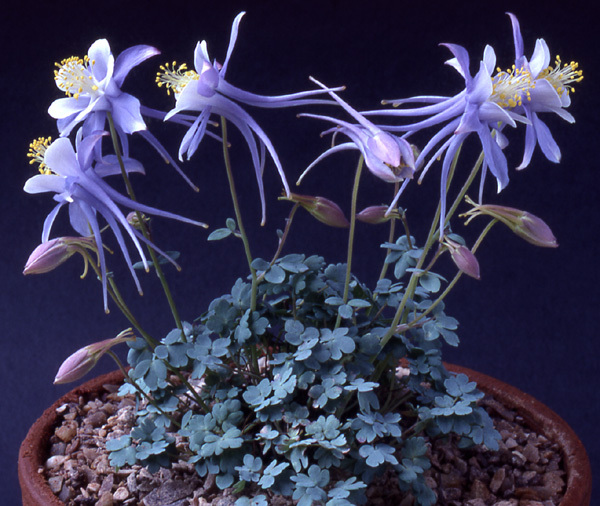 Populations intermediate between Aquilegia scopulorum and A . coerulea are known from Utah. 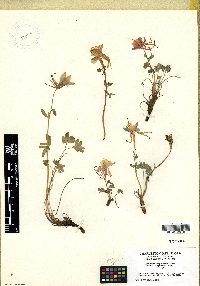 Aquilegia scopulorum has also been reported from southern Wyoming; the record is doubtful.